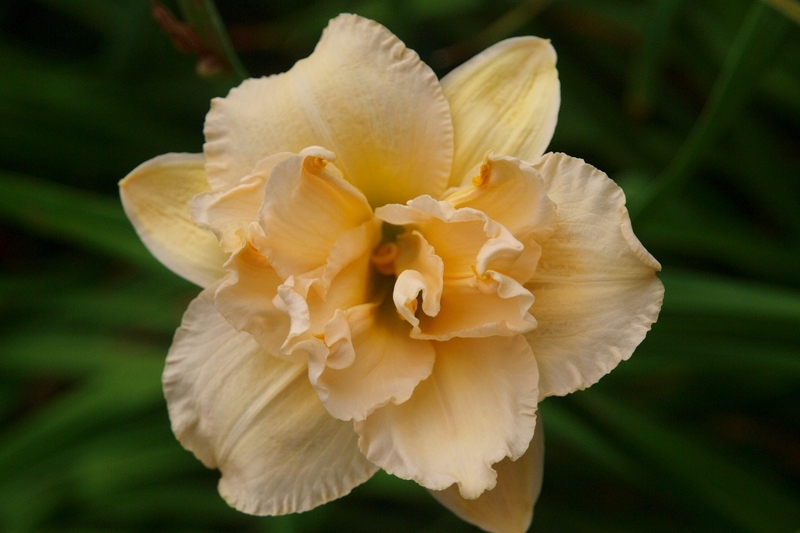 This may sound like a broken record, but Joiner doubles are some of our favorite daylilies and Land Of Cotton is right near the top of the list. Pale Peachy Cream, the petals and sepals usually open flat (little or no recurve) with the ruffled petloids extending out in front of the bloom. Starts blooming in our gardens mid July but has a very extended season of bloom into September. We consider Land of Cotton to be one of the strongest August bloomers in the garden.